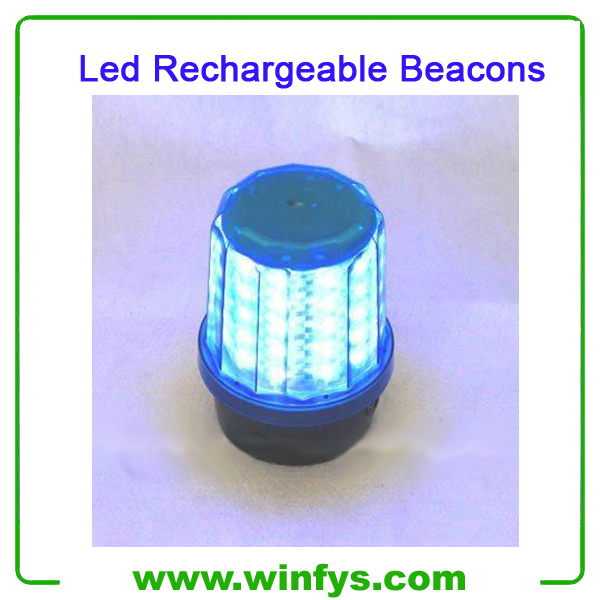 The rechargeable led beacon operates for 8 hours on a full charge and is equipped with a magnetic mount to allow easy attaching t0 vehicles. 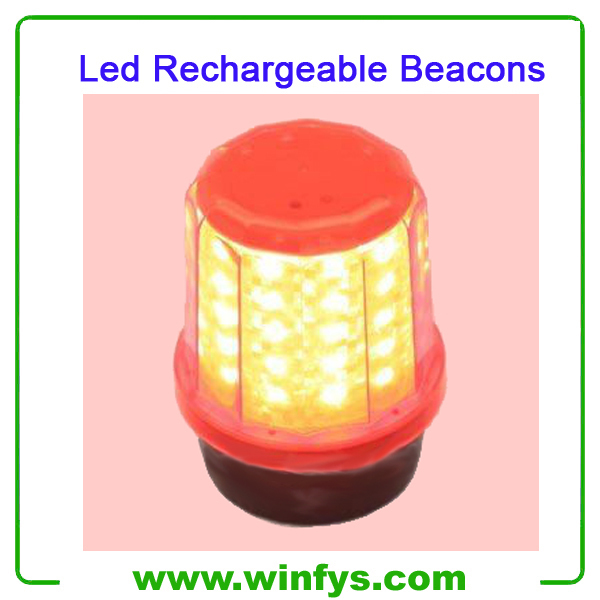 This rechargeable led beacon is equipped with a rechargeable battery and magnetic mounting base, making it fully portable. Available in a choice of white, green, blue, amber or red colors, this strobing beacon includes a magnetic mount and a 120 volt charger. This magnetic base and self contained rechargeable battery allows this unit to be easily mounted, removed, and switched between vehicles, or mounted to any flat metallic surface. This waterproof and shock resistant rechargeable led beacon contains 60 LEDs and fully potted electronics within a special fresnel lense that produces 360° of flashing light. 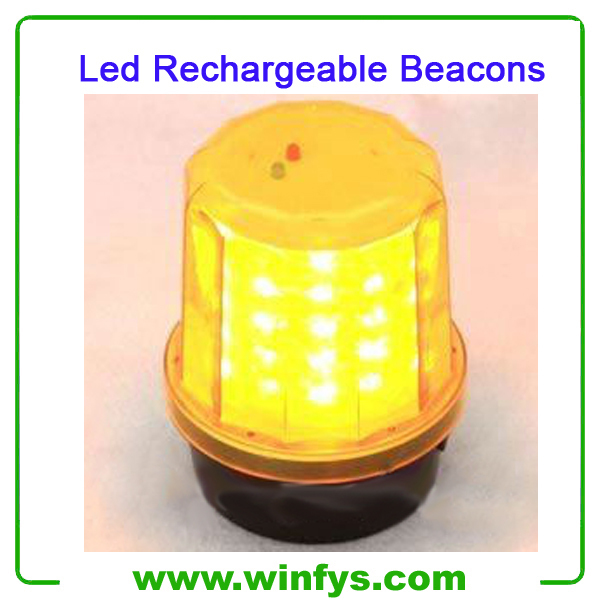 Ideal for utility, construction, security, snow removal, and maintenance applications, this rechargeable led beacon generates a superior signal in an extremely small, durable package. 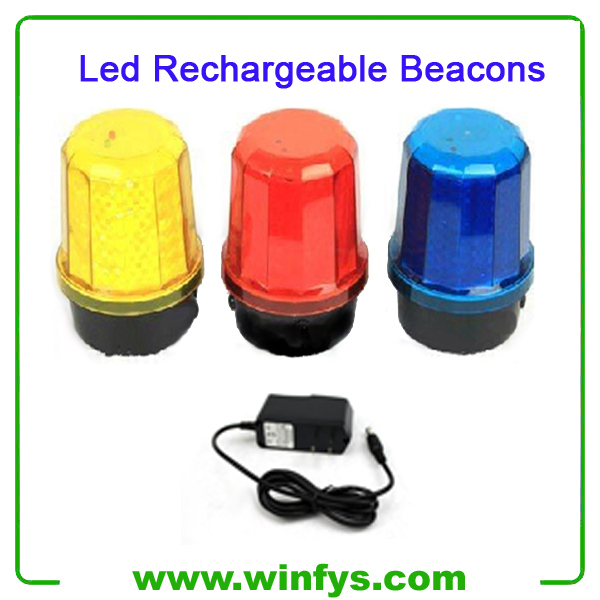 Red Yellow Blue Rechargeable Led Beacons is widely apply to police, fire, ambulance, engineering and other special vehicles. We are China Led Rechargeable Beacon and Led Rechargeable Beacon manufacturer, factory and suppiler.